I was excited about my February reading since there were a number of books I was really looking forward to, but the brightest stars came from unexpected places (i.e. books that were late adds to my TBR list based on glowing recommendations from trusted sources). I read one 5 star book and a second 4.5 star book…with only one unsuccessful book that I DNF’d quickly. I’ll take that for a reading month! Plot Summary: The story of the Skinner family – the four Skinner children, their father’s unexpectedly passing in his thirties, their mother’s years long depression (which the children call “the Pause”), and how their lives unfold into adulthood. My Thoughts: Finally….my first 5 star book of the year! I almost bypassed this one, but a few of my go-to recommendation sources rated it 5 stars (Mind Joggle, Happiest When Reading, Novel Visits) and it was compared to Ann Patchett’s Commonwealth (my review) and Meg Wolitzer’s The Interestings (my review). I thought it was more Commonwealth than The Interestings with shades of My Sunshine Away (my review) in the beginning sections, but for once a big-time comparison proved accurate! The Last Romantics can be called a dysfunctional family novel, but the dysfunction is normal enough to be relatable…the type of dysfunction you see in real life all the time. It’s a novel of sibling dynamics and how parenting decisions/style impacts children in later life. Joe, the lone son among three sisters and the “golden boy” as a child, slides by on looks, charm, athletic ability, and, later in life, his wealthy friends…each sister has her own relationship with Joe and it’s these relationships that drive much of the drama later in the book. My one complaint is that the ending was a bit too tidy…it read a bit like an Epilogue and I felt it was unnecessary. But, that didn’t kill the book for me…I loved every other second of it and it’s one of those character-driven novels I couldn’t put down! PS – I loved the fact that a blog plays a role in story! The Pause could not go on forever. We knew this. There were dangers. We were children alone, the four of us, without protection or instruction, and while Renee played the part of quasi mother, she buckled under the weight. Unsustainable, I wrote later. Unsupportable, hazardous, perilous, unsafe. Plot Summary: The story of an American dynasty…the fictional Forster family who started Panola Cola, the world’s largest soda company. My Thoughts: Though American Pop is fiction, I’m guessing you automatically think of the Coca-Cola family when you hear the premise of this book (especially since the author lives in Atlanta, GA). Wright mentioned in a Publisher’s Weekly interview that he was inspired by Coca-Cola “with a little bit of Dr. Pepper.” One of my complaints about the book was that there was no Author’s Note laying out what was true and what was fiction, which is my favorite parts of books based on real people and events, but Google can help you out with this a bit. The story kicks off with a glitzy party scene at the Peabody Hotel in Memphis and it’s immediately apparent that most Forster family members have skeletons in their closets…making American Pop most definitely a dysfunctional family novel. It was hit and miss for me, but overall more hit than miss. The writing is really fun and glittery, but sometimes veers into “what is he talking about?” territory. I loved that the book was juicy, pulling back the curtain on this prominent family, but he tried to pack a lot into it. There was lots of jumping around between time periods and characters, which made it hard to follow at times, and I wish he’d pared back the scope of the story a bit. But, I loved the spot-on social commentary on the South. It’s not a perfect book…it’s ambitious, but messy. But it’s overall an interesting twist on the dysfunctional family novel with flashes of brilliant writing and commentary. The Forsters, like most Southern families, typically had one of two intentions when conversing among themselves: to make each other laugh or to make each other bleed. My Thoughts: Y’all know I’m not normally big on the rom-com style brain candy books…they can easily venture into cheesy for me. But, there have been two over the past few months I’ve actually liked (How to Walk Away and One Day in December) and I can now add Otherwise Engaged to the list! The beginning is a touch cheesy, but then the story turns a corner. The premise is totally intriguing…Palmer’s juxtaposition of excerpts of Gabe’s book with Molly’s thoughts and commentary as she’s reading it brings all this intrigue to light. And, boy does this book(understandably) get in her head! Gabe’s book shatters the core of who Molly thinks Gabe is and has her constantly analyzing details from his previous relationship and details from her own relationship that appear in the book. Of course, Talia (Gabe’s ex-girlfriend) also re-appears on the scene to stir things up. Palmer takes all this upheaval in Gabe and Molly’s relationship to levels I’d never considered, but that were certainly interesting to ponder (i.e. 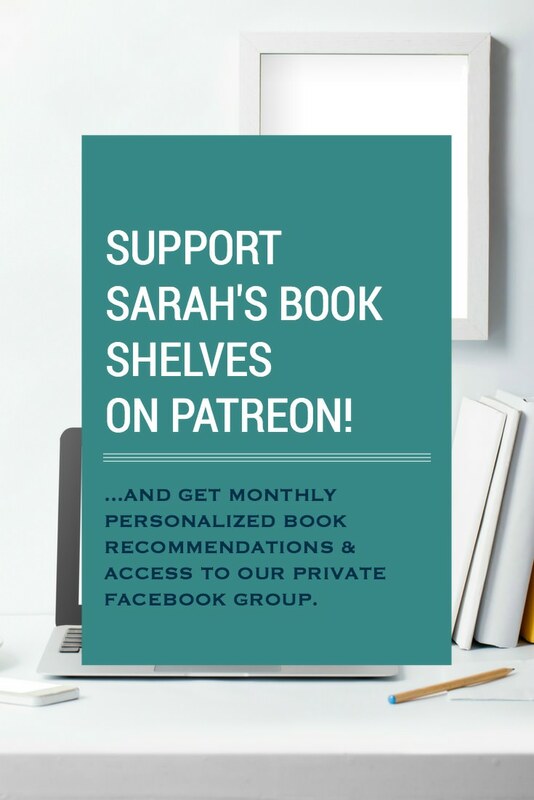 in general, how do the family and friends of any author feel when details from their actual lives appear in their family member’s / friend’s book?). Great pick if you’re looking for something light, easy, and happy! So, did Talia steal that little speech from the book? Or did Gabe take it from Talia to insert in his book, attributing it to Dahlia? Or did Gabe put into words something that Talia had felt, and then Talia borrowed Dahlia’s words to describe it back to me? The possibilities spin out like anagrams in my mind, making me dizzy. The more I deliberate, the less of a grip I feel I have on what’s real and true. Plot Summary: Set in 1930’s Paris and inspired by the real-life love affair between former Vogue model and photographer Lee Miller and the artist Man Ray. 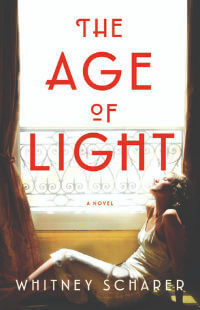 My Thoughts: I don’t normally love historical fiction or love stories (and The Age of Light is both), but I loved Scharer’s take on it! Mainly because it’s not just a love story or historical fiction…it could also be called a “badass lady book.” It’s the story of a woman who is defined by the man in her life trying to break out on her own…to be known for her own work. And, I do have an excellent track record with these kinds of historical fiction love stories (ex: Z: A Novel of Zelda Fitzgerald, Loving Frank). Scharer immediately immerses you in 1930’s Paris and I was engrossed in the story right from the beginning. Man Ray and Miller have a complicated relationship…he’s her teacher, boss, mentor, lover, and creative partner, but she also teaches him. I appreciated the fight in Lee…her drive to be known for her own work and her gumption at the end of the book. My one complaint is that I always love the Author’s Note in these kinds of books because it usually tells you where the story is historically accurate and where he/she took liberties for the sake of the story…this Author’s Note just contained the usual thank you’s to her team, family, etc. I should also warn you that this one is steamy…if that bothers you. The prow of myself, she thinks. Lee doesn’t know – or really care – if she has fully understood what Claude was getting at, but she wants to be how the words made her feel: alone but not lonely, needing no one, living her life with intention. Plot Summary: When Althea and her husband (Proctor) are arrested, Althea’s sisters become caretakers for Althea’s two teenage daughters (Kim and Baby Vi). My Thoughts: This was a tough book…not emotionally tough to read, but tough because my expectations were so high. I peeked at the first 10 pages or so well before actually reading it and was immediately pulled in by the writing. From that glimpse, I was expecting a 5 star book. 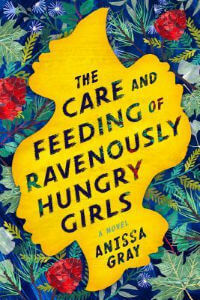 And, I did end up liking it, but more lukewarmly than a 5 star book. It’s been compared to The Mothers (my review) and An American Marriage (my review)…but, to me, it felt more like The Mothers in style and the An American Marriage comparison is coming from the fact that Proctor and Althea are in prison. It’s a sad portrait of what prison and betrayal does to a family. It’s a quiet book, which I’m okay with since I did really love the writing, but I was waiting the whole time for it to blow me away…and, it never did. Althea is a tough character. I kept thinking she would be more sympathetic, but it never happened. She’s hard to read and I was confused by her; however, there are other likable characters in this story. I did really like the ending, which was more hopeful than the rest of the book, and I loved hearing in the Author’s Note that Gray pulled some elements of the story from her own life (ex: eating disorders and gay marriage). Overall, this one suffered from my inflated expectations, but I still more or less liked it. How does time heal the want of time, such crucial time, with someone you miss? You learn to get by with a loss like that, but something is always off. I just couldn’t get past the language…it felt really old-timey and required more concentration than I felt like devoting. I’ve been reading a lot about The Last Romantics. 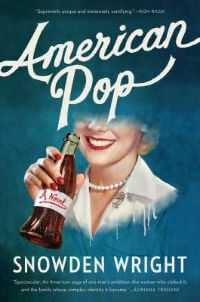 I’m dying to get my hands on American Pop – the author is coming here for an event but the tickets are $95 each so I won’t be going. Oh dang! That’s pricey! But, very cool he’s coming. Great reviews, Sarah! You surprised me with Otherwise Engaged. I guess it’s one I need to take a closer look at. Your top two, The Last Romantics and The Age of Light, are mine as well. February has been a very good reading month. How do you think The Care and Feeding would work on audio? I’ve been thinking of listening to it. Otherwise surprised me too! It was a fun one! Great reviews! 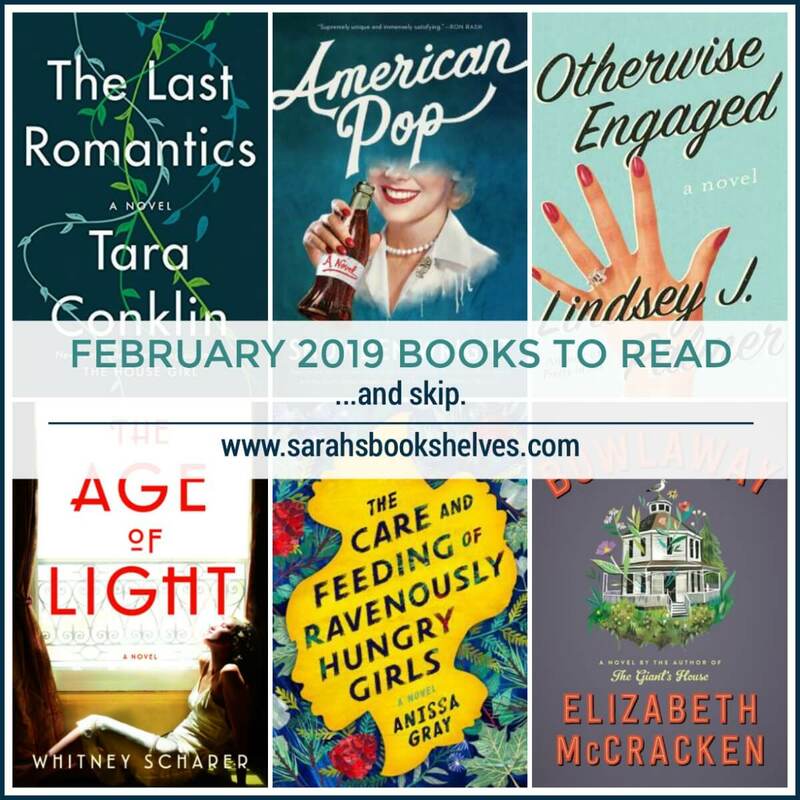 Care and Feeding, Otherwise Engaged, and The Last Romantics are on my TBR. Somehow The Last Romantics went completely by me- as in it didn’t look like a book I wanted to read so I ignored, but now both you and Susie loved it! I just got a copy so looking forward to reading it. Thanks for vetting Otherwise! I have it on my list but was waiting. I think it will be just right after something more serious. And I understand about Bowlaway. I read it and will review, but while McCracken has a way with words, the story was just too odd and not compelling. My favorite book so far this month has been backlist- The Deeper the Water the Uglier the Fish. Wow. Just wow. I think it could work for you- maybe when/if you have time for backlist books. It’s been a good reading month overall! I remember Susie loving it! I think I sampled it at the end of last year, but it was a weird time…like the speed-reading of contenders for my Best of the Year list. Glad to hear I didn’t miss much on Bowlaway. Looking forward to your review! And I do think you’ll like Last Romantics…I can’t remember if you loved Commonwealth or not. If you loved that, I do think you’ll love this one. I have had a good reading month too. My favorite book so far this month is “Pretend You Don’t Know Me” by Jessica Strawser. Don’t go into this book expecting a thriller or mystery its not that kind of book. This book is about dysfunctional people and bad choices and problem marriages etc. Also if you need likable characters this is NOT your book the two main characters aren’t likeable. The one thing the book did that I really like is that it engaged me and made me think what would I do? I have “The Romantics” on my library reserve list. I am really looking forward to reading it since both you and Susie have vetted it. I love McCraken, so I will be giving this new one a try. Hope I don’t have my expectations too high. I’d love to hear feedback from someone who’s loved her previous work! 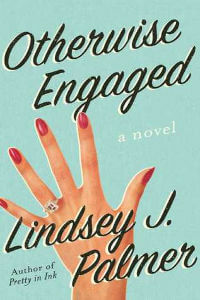 Otherwise Engaged sounds adorable, definitely adding that to my TBR! Adding The Last Romantics to my list immediately!! First time I’ve disagreed with your recommendations. 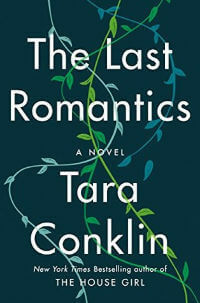 I had looked forward to reading The Romantics and while the styel of the writing was fine, the plot was too dark for me. Read like many of the Oprah books.